German Lutheran minister; lived in the first half of the nineteenth century, in the duchy of Nassau; pastor in the villages of Grävenwiesbach, Dotzheim near Wiesbaden, Dickschied near Langenschwalbach. He was interested in Jewish affairs, and advocated the civic equality of the Jews. 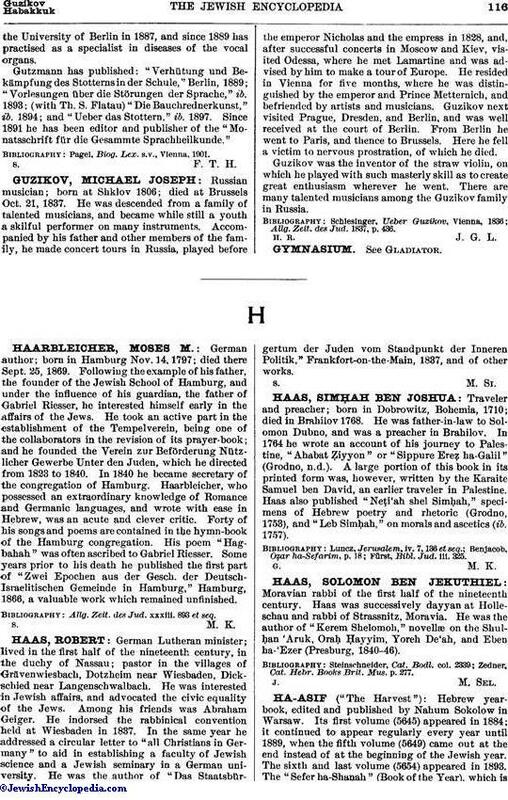 Among his friends was Abraham Geiger. He indorsed the rabbinical convention held at Wiesbaden in 1837. In the same year he addressed a circular letter to "all Christians in Germany" to aid in establishing a faculty of Jewish science and a Jewish seminary in a German university. He was the author of "Das Staatsbürgertum der Juden vom Standpunkt der Inneren Politik," Frankfort-on-the-Main, 1837, and of other works.